LVDS is a differential signaling system. It transmits two different voltages which are compared at the receiver end of the transmission. LVDS uses the difference in voltage between the two wires to encode the information. This differential data used in LVDS is less susceptible to common-mode noise than the single-ended schemes. 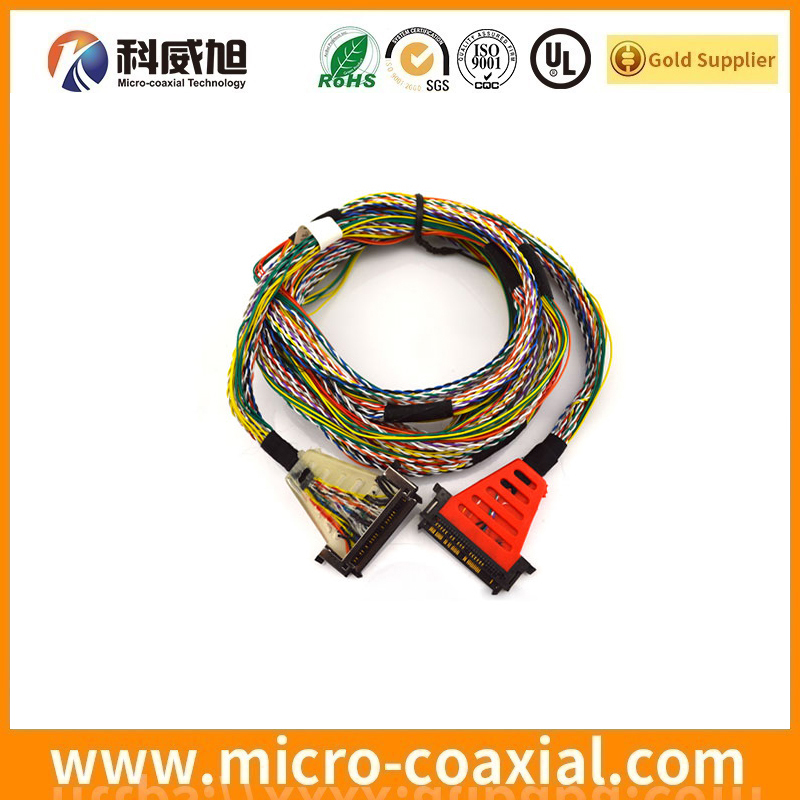 Unlike single-ended methods, differential transmission uses two wires with opposite current/voltage swings, to convey data.LVDS cable assembly factory. The advantage of the differential approach in LVDS is that noise is usually coupled on the two cables equally and is then rejected by the receivers. The receiver looks at only the difference between the two signals. The differential signals also tend to radiate less noise due to the cancellation of magnetic fields generated as compared to single-ended signals. If in-line noise and EMI are a concern, shielding the overall cable assembly, as well as introducing methods such as ferrite beads and drain wires are several ways this can be addressed. 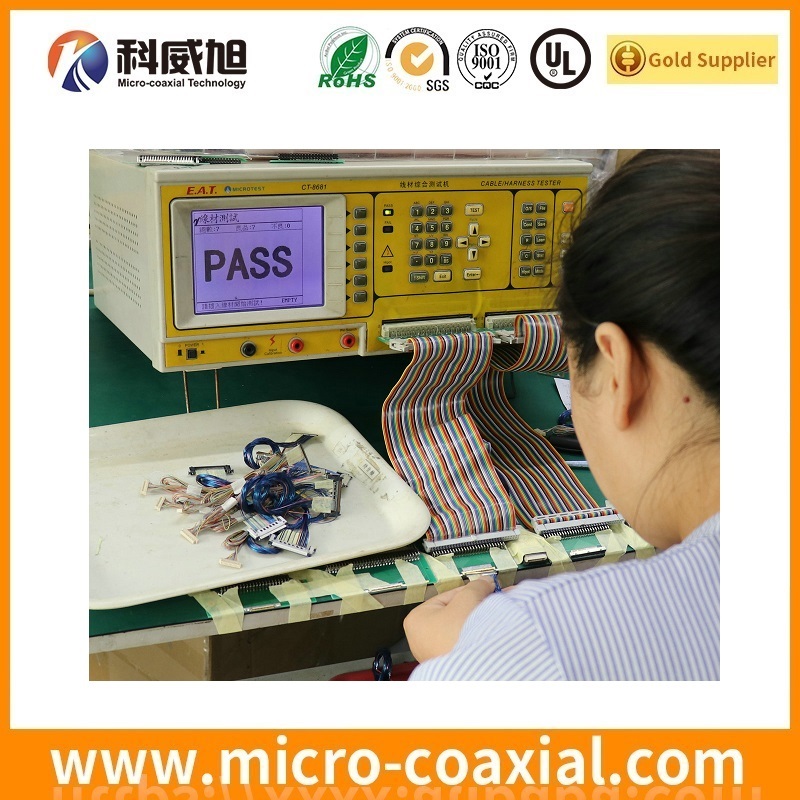 Shielding not only helps to clean up any noise created by the LVDS cables but it also prevents other electronic componets from “talking” to the cables distorting image quality and cable function.LVDS cable assembly factory. As a more than 18 years experience in display cable assembly manufacturer, LVDS cable assembly factory,welcome to contact us to custom LVDS cable, eDP cable, fine pithc cable assemblies. 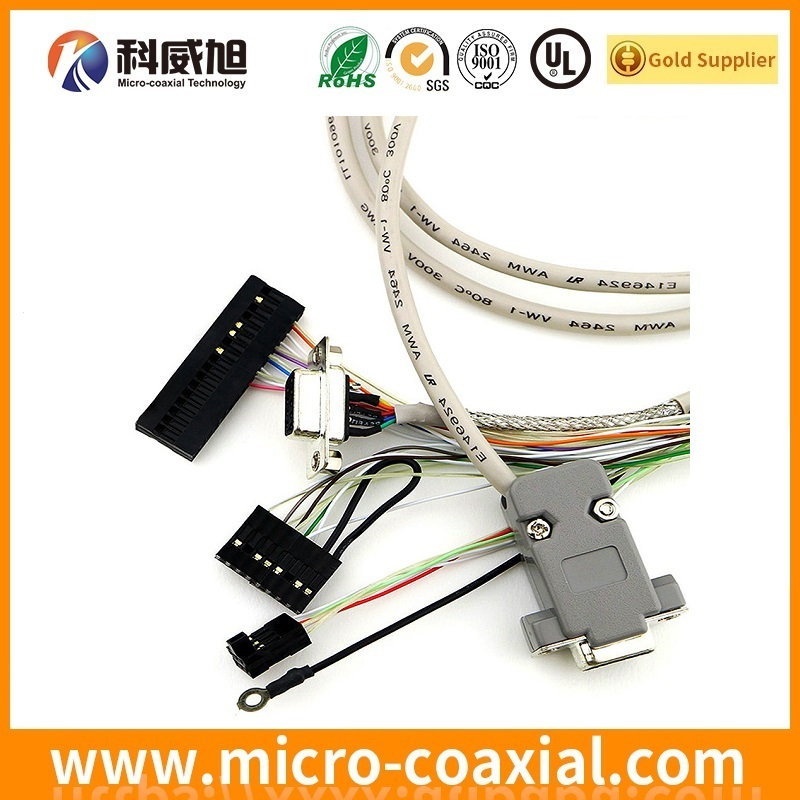 Based in China, we are experts in many kinds of cable assemblies and wiring harness manufacturer. 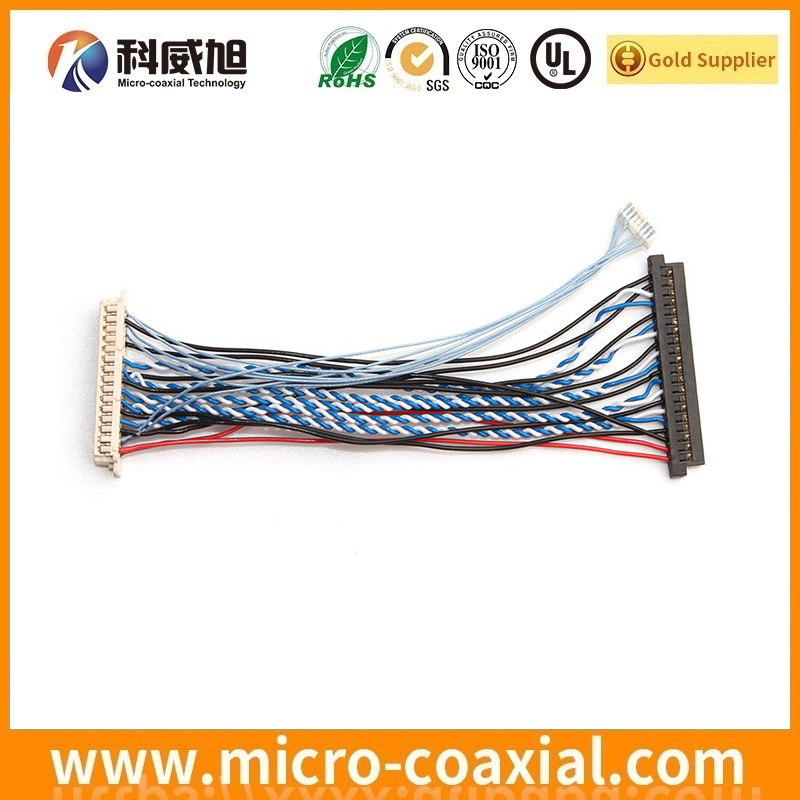 We produce customized micro coaxial cable assembly,eDP cable assembly, LVDS cable assembly, RF coaxial cable assembly, V-by-One cable, Custom eDP to DP, display cables, mcx cable, for LCD panel, TFT display,RF cable assembly,HD camera micro-coax connector cable assembly, and provide excellent quality LVDS cable, LVDS cable assemblies factory, I-PEX cable, fine coaxial cable, eDP cable, mini coax cable, sgc cable, custom LVDS cable assembly, fine pitch coaxial cable assembly, and tooling available for Hirose cable connector assemblies,JAE cable connector assemblies, Molex cable connector assemblies, IPEX cable connector assembly, Samtec cable connector assemblies, KEL cable connector assembly, JST cable connector assembly, Tyco cable connector assembly, TE cable connector assembly, Amphenol RF cable connector assembly, Micro Flex coaxial cable assembly and more. Welcome to contact us to custom or OEM.